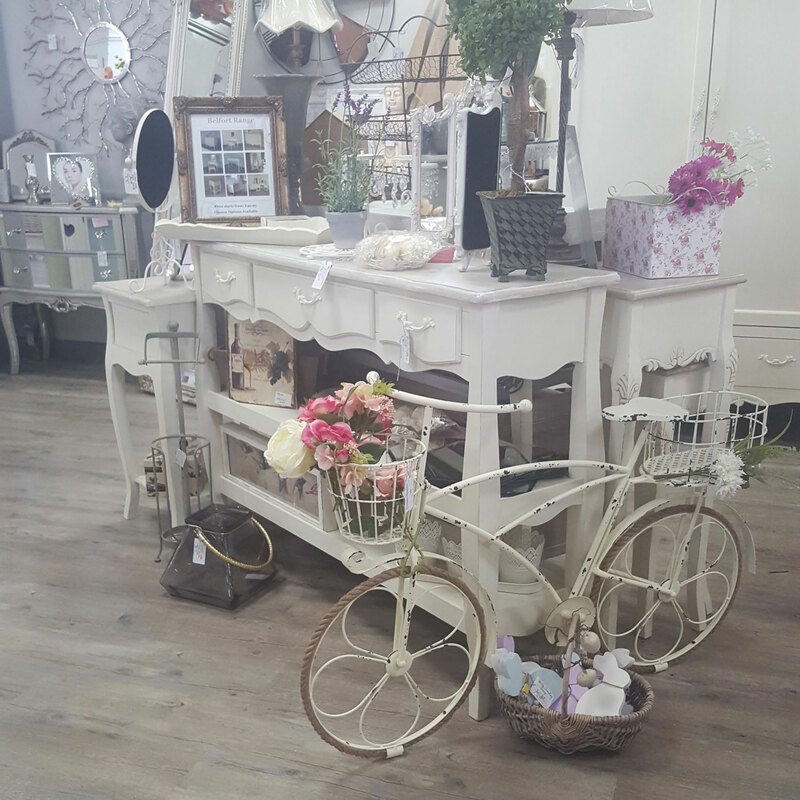 Our Furniture and Home Accessories showroom is located near Bawtry & Harworth in Doncaster, SouthYorkshire, so if you are ever in the Doncaster or Yorkshire area, why not come and visit our large shabby chic furniture shop. 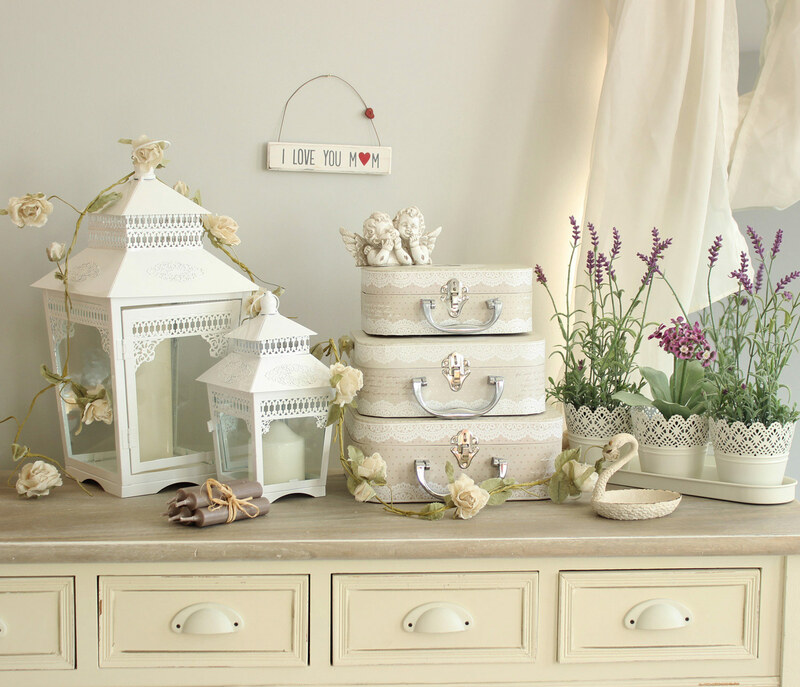 As you know we specialise in wedding accessories, wedding candelabra, and wedding decorations as well as our extensive collection of painted, shabby chic and vintage styled Â bedroom furniture living room furniture and Bathroom furniture. 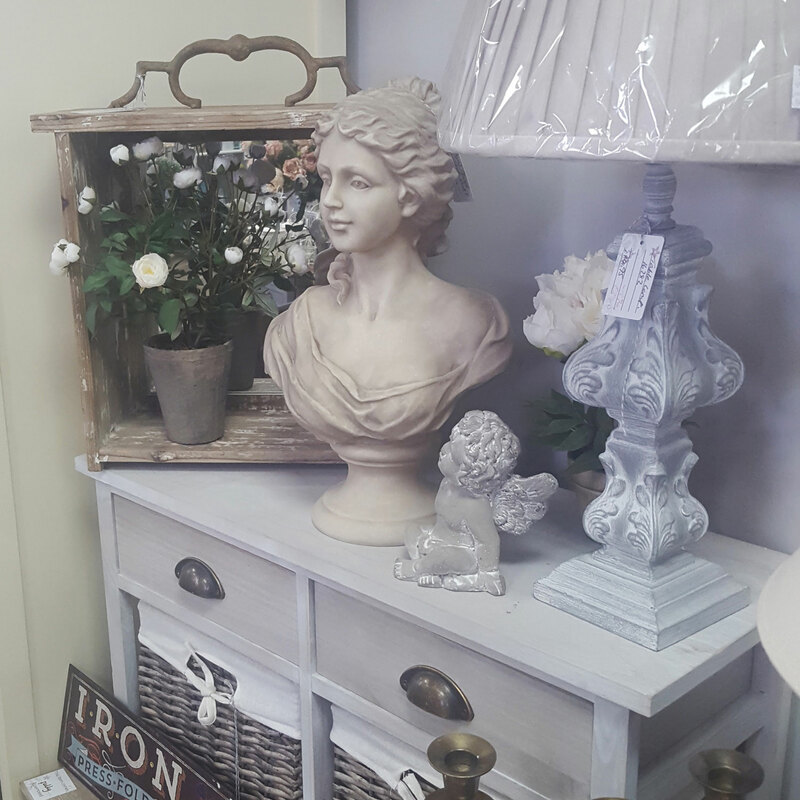 All our beautiful Painted Furniture, Bedroom Furniture and living room furniture is on display, as well as hundreds of other items, lamps, mirrors, clocks, and bathroom cabinets. 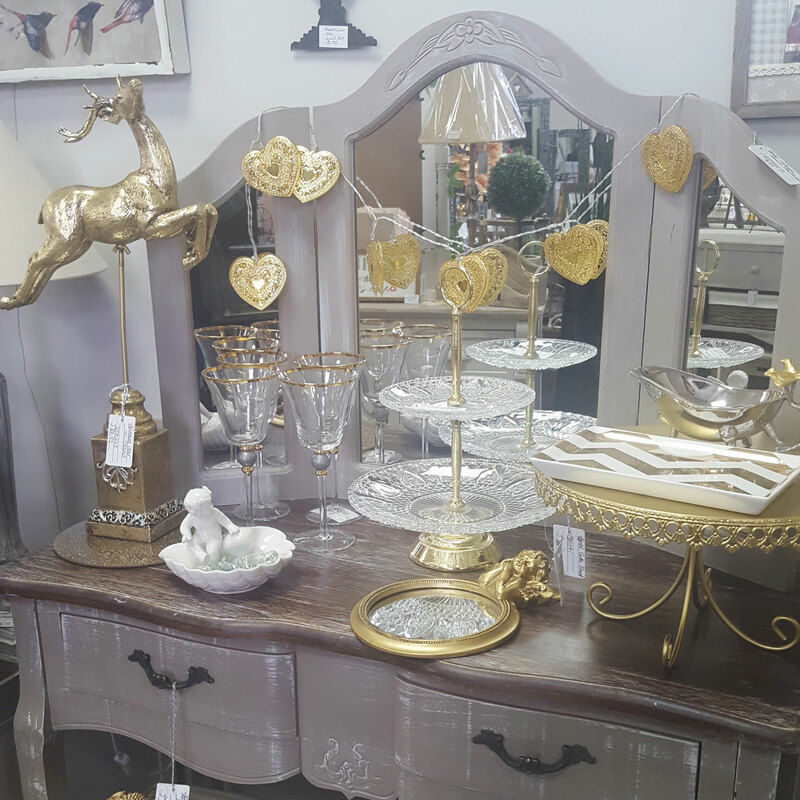 All our cream and white painted bedroom and living room furniture can be seen in one place alongside its matching items, so whether you are looking for a wardrobe, dressing table, chest of drawers or a television cabinet, you can view every range and all the furniture pieces within that range. We also have an extensive range of large mirrors, and ornate mirrors. Our knowledgeable and friendly staff are on hand to help you, so if you need to know which dressing tables look good with which bedside tables, they can help. We also have access to thousands of other items of furniture that we simply don't have room to stock, from dozens of furniture ranges - black furniture, mirrored furniture, oak furniture to name but a few. We try to stock one piece from each furniture range so you can see and feel the quality. 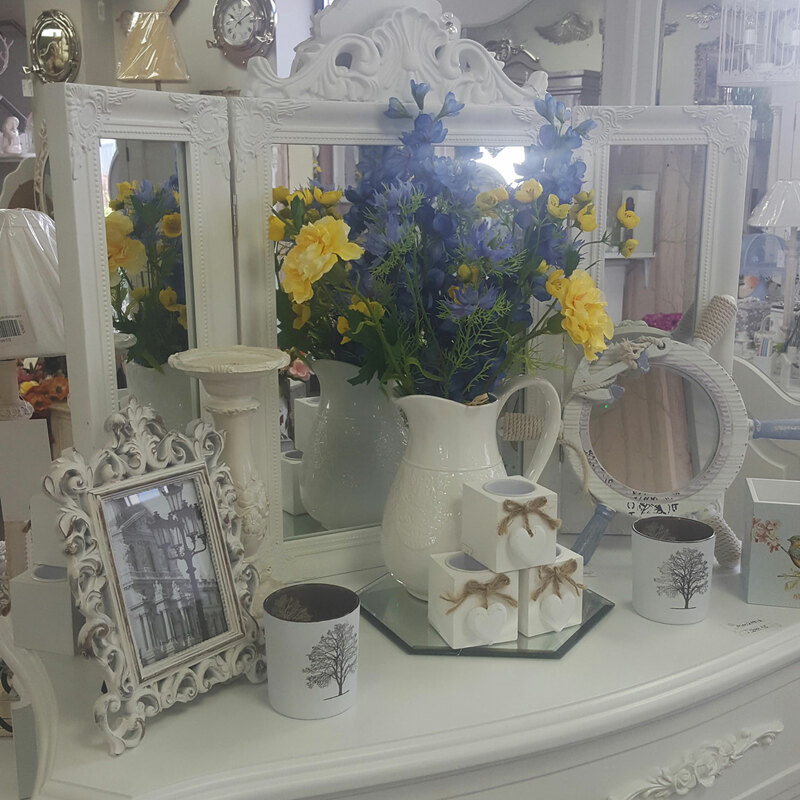 And don't forget, we don't just sell furniture and larger pieces, we have a full gift shop, so if you are looking for birthday or Christmas gifts from as little as £1, we have hundreds or items including ceramics, glassware and artificial floral arrangements to choose from that aren't on the website! 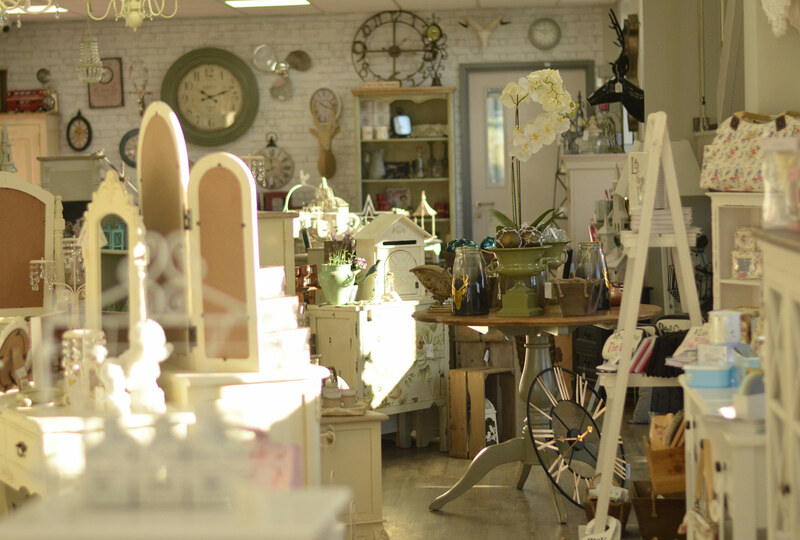 Our Showroom opening hours are Monday - Saturday 10am - 4pm. You are more than welcome to come along and view our products where our friendly staff will be warmly awaiting you.